Elly Glenn and Kevin Wallace both have the work ethic and determination to be the best at everything they strive to do. As college athletes, they both played important roles at the national championships. Now they want to lead and inspire high school students to turn their lives around through athletics. 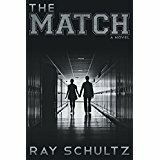 Elly dislikes the way her volleyball equipment is tossed aside, and Kevin dislikes sharing the basketball court with volleyball players. Yet they must find compromises to keep their jobs and to set good examples for their players. And when Elly realizes that Kevin is the only person who can help her deal with a large problem, Kevin learns that Elly is the only person who can fill a void in his soul. The name of our book, Poetic Portions, was inspired by Ralph Waldo Emerson’s statement that, “The only gift is a portion of yourself. Therefore, the poet brings his poem…,” This collection of work has no theme, but represents our efforts to include a variety of voices and visions that poets present in their work. 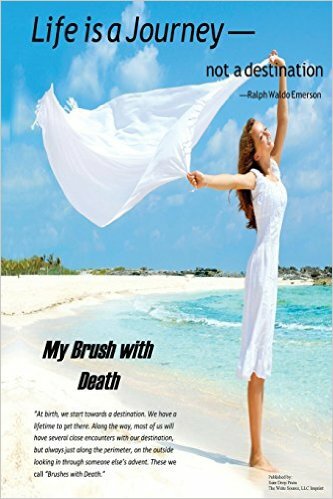 Being able to include a number of poems by most authors allows us to reveal something of the range of styles, ideas, emotions and humor expressed by individual poets. We appreciate the talents of writers and their courage in expressing themselves and sharing their work. We respect these offering of poetic portions of themselves with gratitude. When we first sent out our request for stories from people who had a Brush with Death we wondered if we would receive any replies. We wondered how many people would be willing to share the most intimate details of their experience. Surprisingly, our mailbox was busy each day until the deadline. It was difficult to choose the final twenty-six stories. When you read these stories you can see how our hearts were touched and life changed for all of us. 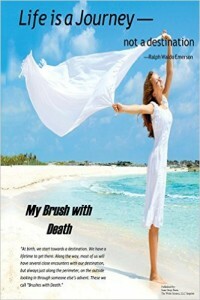 We saw courage and strength in these stories as these individuals became different and better people because of a Brush with death−even in some cases where the battle is not yet over. 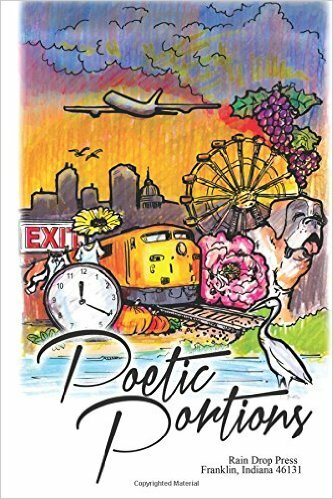 A Harvest of Poems includes work by: Robert O. Adair, John Basham, Denise C. Buschmann, Loretta Cleary, Michael E. Garwood, Mary Place Godsey, Nancee Harrison, Jan Jett, Karen Koger, Diane L. Lewis, Anne Murphy, Carol L. Murschel, Thomas O’Dore, Diane Roudebusch, Marge Summers, Harold Taylor, Joan Watt, Judy Young, Michael Rogers. 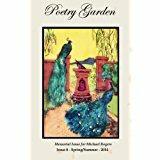 This Spring/Summer Issue 8, is a memorial issue for Michael Rogers the founder of the Poetry Garden. Mary Charles is the antithesis of the typical young Londoner during the realm of Queen Victoria. Instead of filling her days with teas, needlepoint and the pursuit of the perfect husband, Mary chooses to spend her time at her desk weaving tales of the intrigues and romances of the French court. Her goal in life is simply to become the next Jane Austen. That is until she becomes the fascination of John Waterman, “heir” to his father’s seat in Parliament. Along with that expectation, Sir Robert Waterman also anticipates that his eldest enter into a suitable marriage. 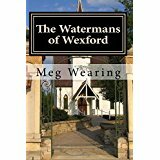 John has decided that he will pursue Mary doggedly, and she finds herself falling under his spell. Will the mores of their society allow a mixed class romance? Quincy Matthews witnesses her best friend’s murder. To protect her friend’s child, she kidnaps the four-year-old girl and flees to Hickory Hills, a small Southern Illinois town where she spent summer with her grandparents. She disguises the child and herself. 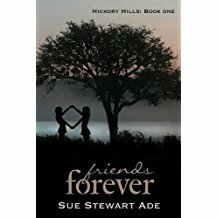 When she meets Ace Edleston a teenage romance is rekindled. Ace suspects that Quincy is keeping secrets and confronts her. Telling Ace about the kidnapping will make him an accessory. Not telling Ace will make him walk away. As Quinn wrestles with this moral dilemma, the murderer is getting closer. Will he find them, and if he does, how far will Quinn go to keep the child safe? Family Recipes Thanks to all of the cooks, both male and female, who helped to make this book possible by submitting some of their favorite recipes. We included recipes by our mother, Marie McKinney Doll and other family members and friends: We all wish our husbands would do some of the cooking in our kitchens, but unfortunately only a few men enjoy standing over a hot stove. We envy Windy Watt for the help she receives in her kitchen with the tasty recipes Jim works into their meals. We all need to try some of his yummy recipes. 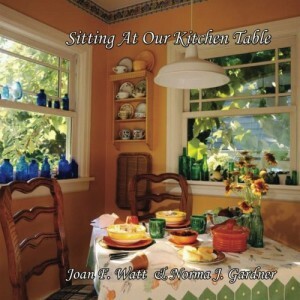 A final thought; what would life be without family recipes and kitchen tables to gather around with family and friends to share in love, laughter, good conversation and delicious food. Enjoy this wonderful children/adult story. An old dog teaches his son things he has learned about dogs, cats, and humans. His words of wisdom and love make you feel warm, like you feel when you can sleep safely in your fenced yard with your belly up to the sun. That feels very good. 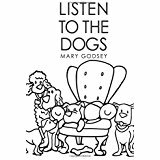 Listen to the dogs. You may order books from Amazon or contact Mary Godsey at the CIWA email address.